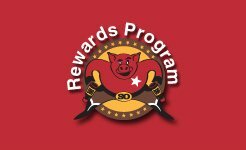 Receive a FREE Pulled Pork Sandwich when you join Smokin' Okies Rewards! It's our way of saying THANK YOU...and it's VERY SIMPLE - just Click Here to enroll and remember to mention your phone number every time you place an order. You'll be amazed at how fast you can earn rewards! Already a member? Check Your Point Balance!